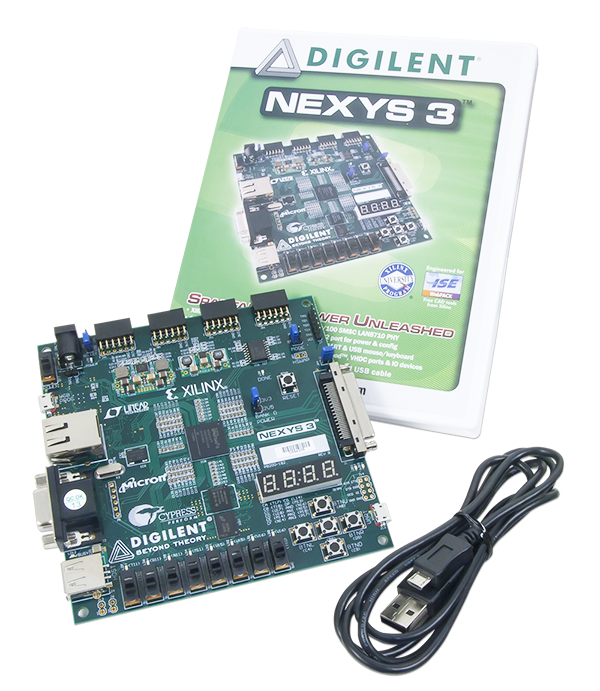 The Nexys3 is a complete, ready-to-use digital circuit development platform based on the Xilinx Spartan-6 LX16 FPGA. 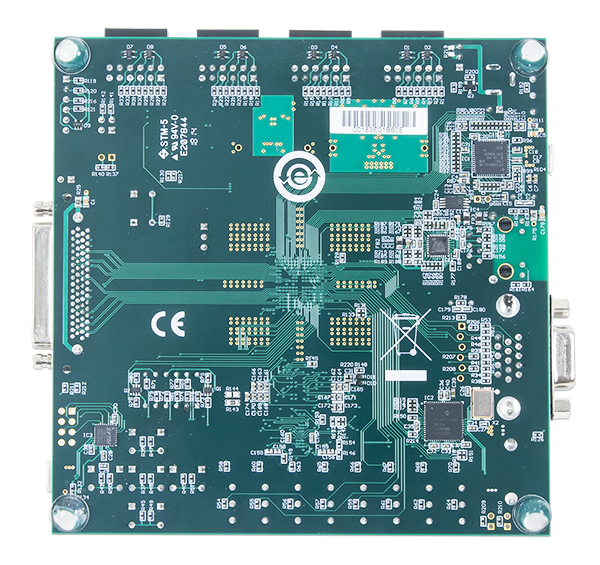 The Spartan-6 is optimized for high performance logic, and offers more than 50% higher capacity, higher performance, and more resources as compared to the Nexys2’s Spartan-3 500E FPGA. This demo project is for the VmodTFT and either the Nexys3 or the Atlys. It continuously samples the VmodTFT's touch panel for X, Y and pressure values and lights up the pixels touched. This zip file contains a Xilinx ISE demo project for the PmodACL. 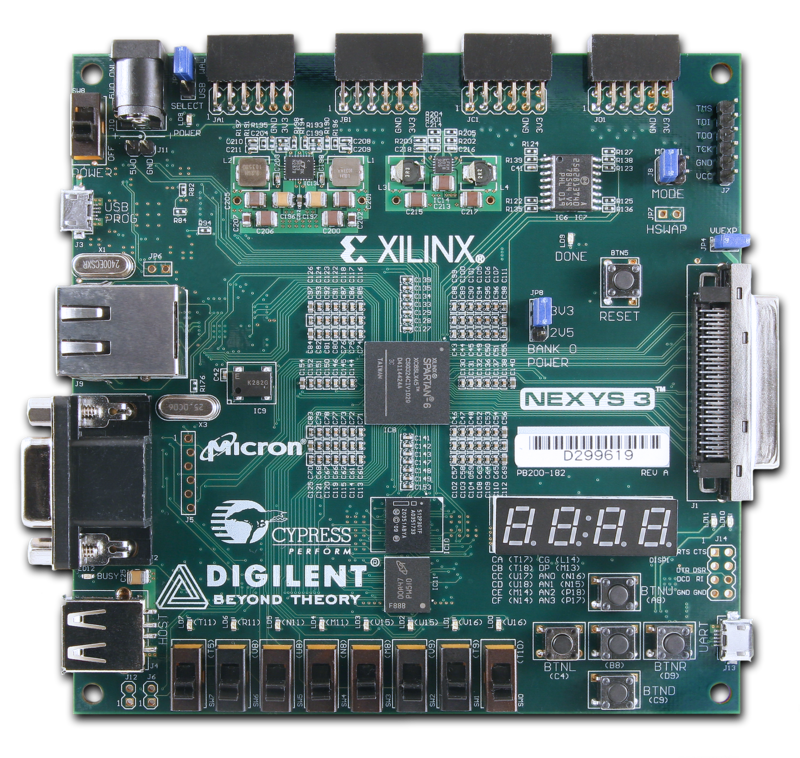 This project was made for Xilinx ISE 14.2, targets the Nexys 3, and is written in Verilog. This zip file contains a Xilinx ISE demo project for the PmodCLP. This zip file contains a Xilinx ISE demo project for the PmodENC. This zip file contains a Xilinx ISE demo project for the PmodGYRO. This zip file contains a Xilinx ISE demo project for the PmodHB5. This zip file contains a Xilinx ISE demo project for the PmodJSTK. This zip file contains a Xilinx ISE demo project for the PmodKYPD. 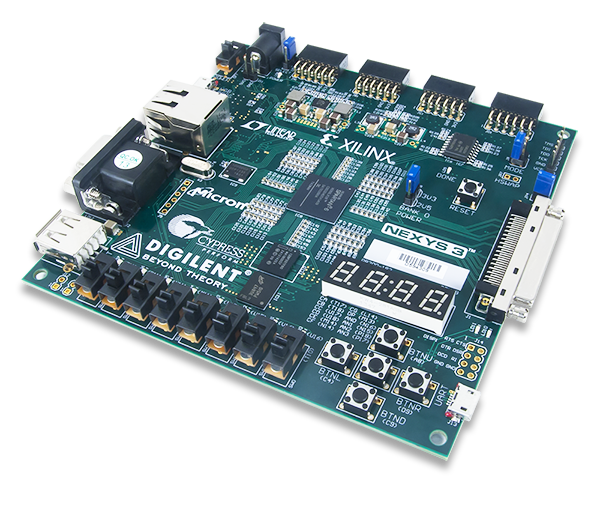 This zip file contains a Xilinx ISE demo project for the PmodOLED. This zip file contains a Xilinx ISE demo project for the PmodPS2. 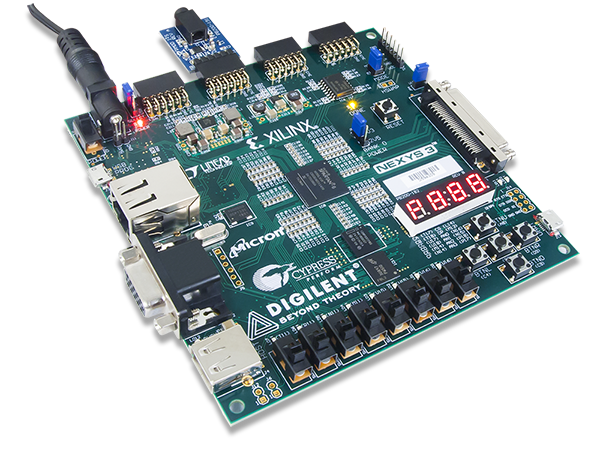 This project was made for Xilinx ISE 14.2, targets the Nexys 3, and is written in VHDL.